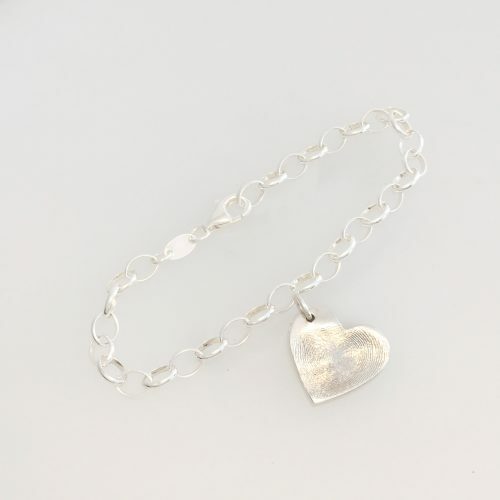 Small curvy heart sterling silver ink print charm, soldered to a belcher bracelet. Upload your scanned ink prints here please. This pretty Sterling Silver Belcher Bracelet is the perfect way to wear your charms. 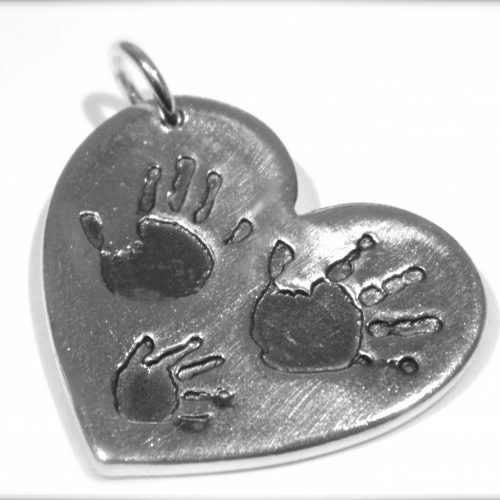 The front of your charm can have one hand, foot or paw print. 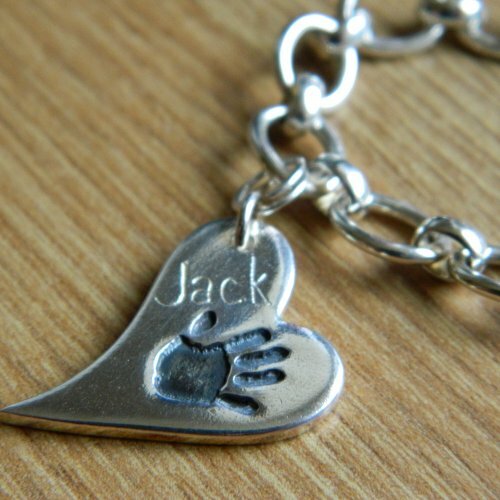 The back of your charm can have a name, date or word up to a maximum of 6 letters or numbers. 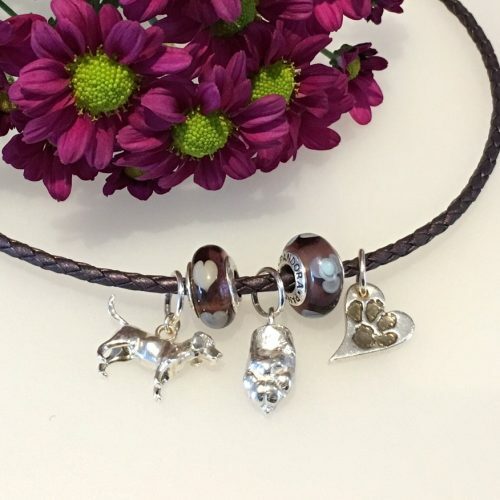 More charms could be added to your bracelet to make it even more Impressive!! 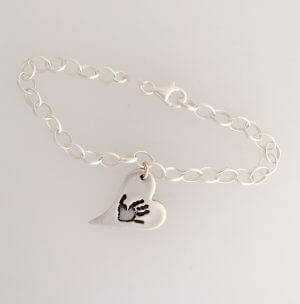 The bracelet is 7.5″ (19cm) in length, and weighs approx 5g. Due to its weight this bracelet is unhallmarked. In the photo the charm is not soldered to the bracelet, yours will be! The ink print is captured using clean and easy to use wipes & sensitised paper. This can all be sent to you in a kit with full instructions. If you already have ink prints I may be able to use these, it’s best to ask first before ordering.